Taking bespoke to a new level. For all their beauty, period properties have one failing – they’re not a clean piece of paper. With new builds, anything is possible. So, when we were asked to get involved with a magnificent new property on one of Oxshott’s premier private estates, we were delighted. 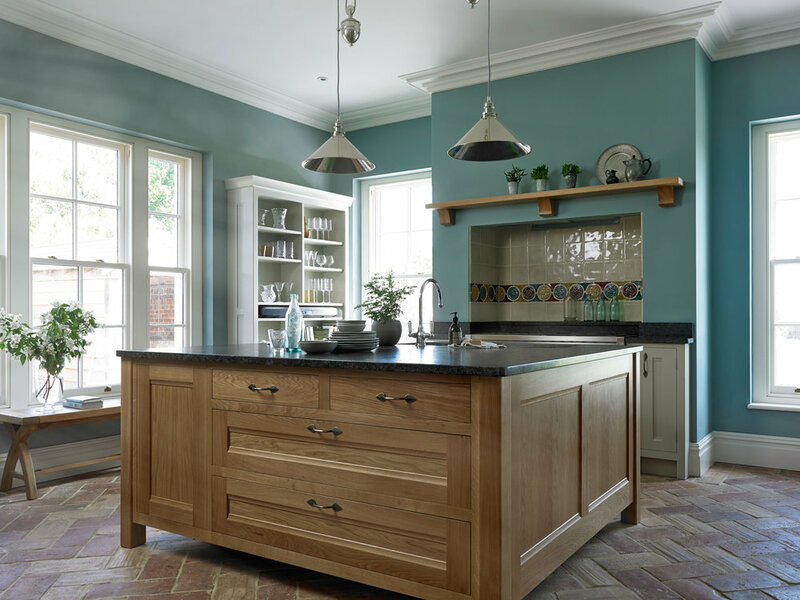 The kitchen’s outstanding features include: the elegant curved island, crafted in elm and granite; the curved oak dresser with an elm surface; a magnificent bi-fold larder cupboard; a walk-in pantry; an unusual end grain elm chopping board; a bespoke fold-down spice rack; and Sub-Zero Wolf appliances with antique mirror splashback.